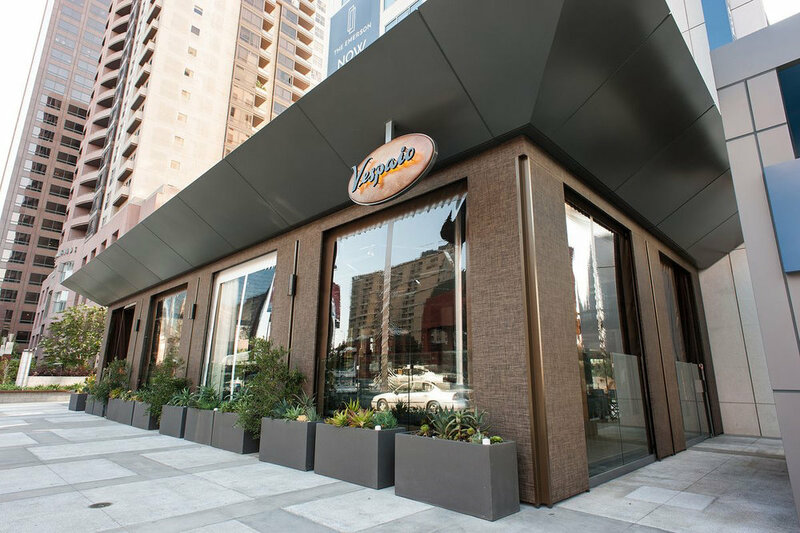 Agostino Sciandri finally has his magnum opus in Downtown, Vespaio, which soft opens tomorrow but goes official on Monday for what might be the second most important restaurant opening on Bunker Hill this year. 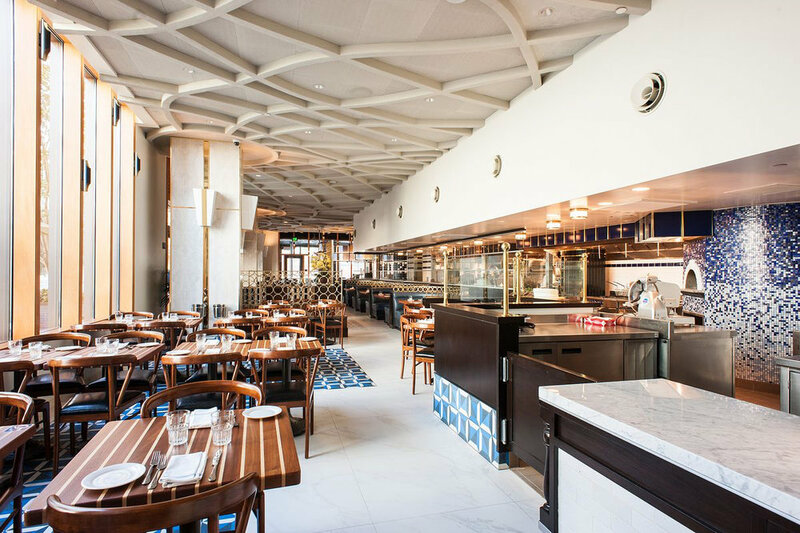 While Otium might have a higher chef profile, Vespaio will certainly draw more of every day diners, with one of the city's nicest new patios. 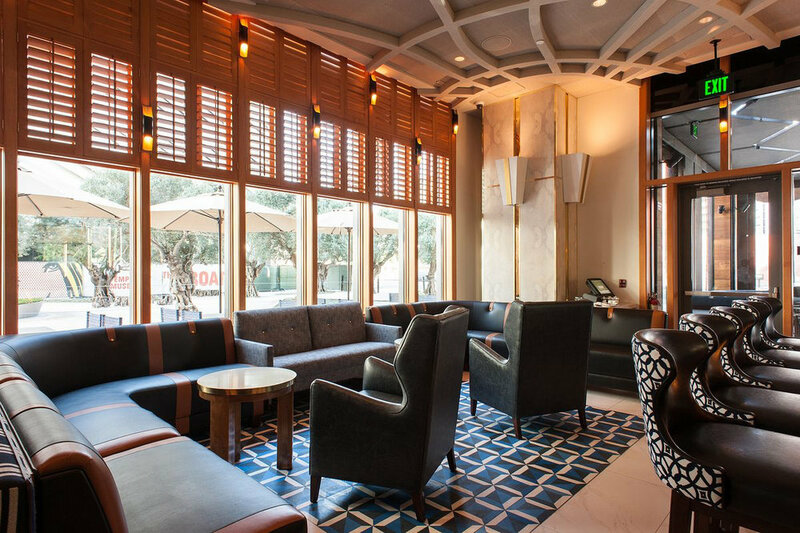 As for the concept, it's morning until evening Italian fare, along with happy hour and pre-theatre, making the expansive space a particularly useful kind of restaurant. It'll also be right next to the Broad Museum, which should work perfectly when Eli Broad's structure opens later this year. The menu boasts everything from baby kale salads with beef heart tomatoes, seared carpaccio with watergress, and homemade potato topini pasta with scampi and artichokes. Entrees include a whole baked sea bream with sliced potato and olives, or a massive 32 ounce Snake River Farms Wagyu top sirloin roasted in the wood-fired oven. For more shareable bites, consider the frutti di mare pizza or flatbread with brussels sprouts, pancetta, and cherry tomatoes. 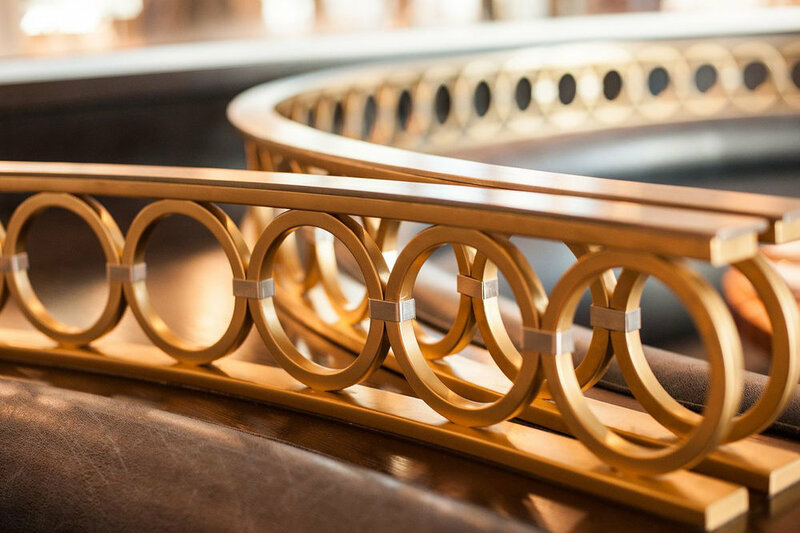 Designed by Ralph Gentile Architects and placed at the foot of Related's new Emerson Building, the yacht-inspired look is easily one of the most polished, elegant places to debut in Los Angeles.